Upon entering the front door you have a small vestibule to hang your coats and remove your boots. Stepping into the living room you’ll notice the oak hardwood floors, tall ceiling and the massive front room window. 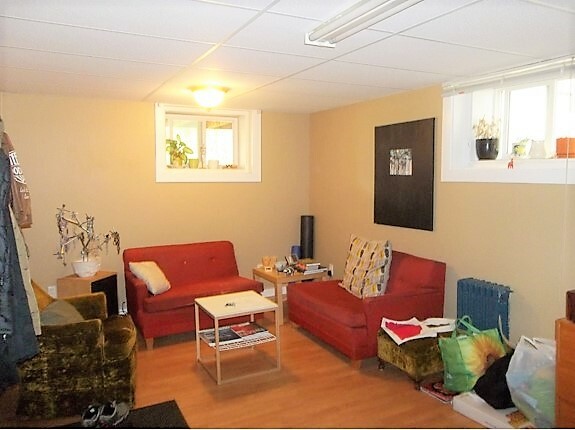 There is ample room for a couch, a couple chairs, an entertainment centre, coffee table, a couple book cases and a desk. As you pass through the living room you will walk into the kitchen and eating nook. 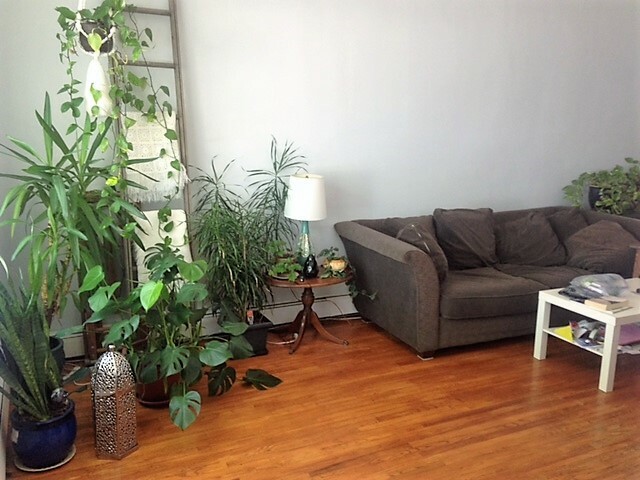 This is a delightful space, filled with an abundance of natural light. There is a long kitchen counter ideal for food prep, directly across from the fridge, stove and additional cabinets. 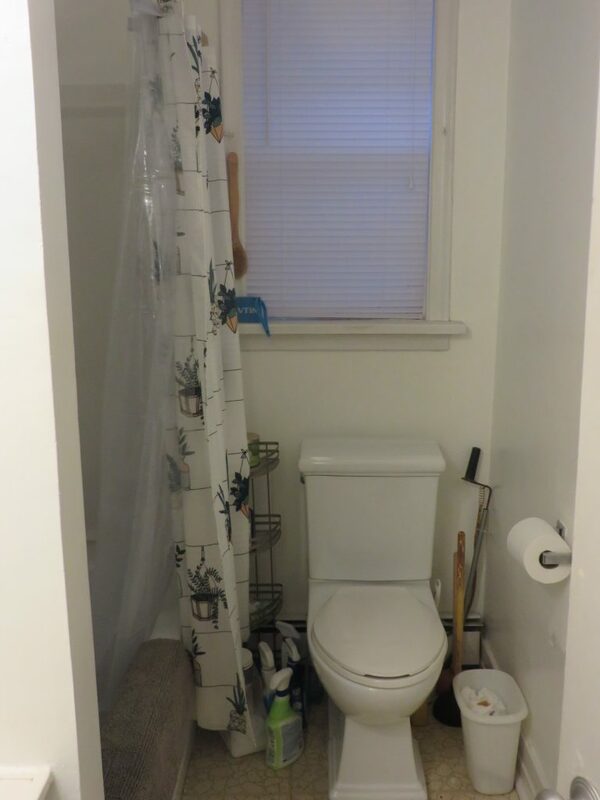 Down the hall from the living room we find a full four piece bathroom with a wand style shower inside a regulation bathtub featuring an easy care tub surround. 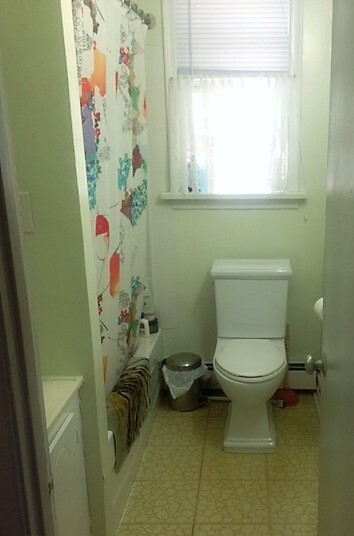 On either side of the bathroom are located the two bedrooms, both with good sized closets. The second bedroom is currently being used as an office – closet. The lower level kitchen also enjoys an abundance of natural light, plenty of room for a kitchen table and full size fridge and stove. 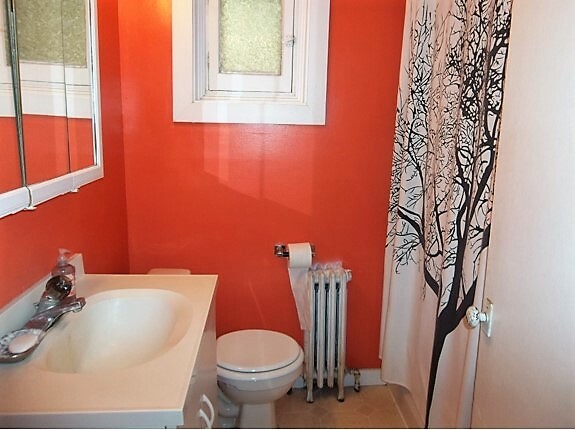 The lower level also includes a full four piece bathroom. 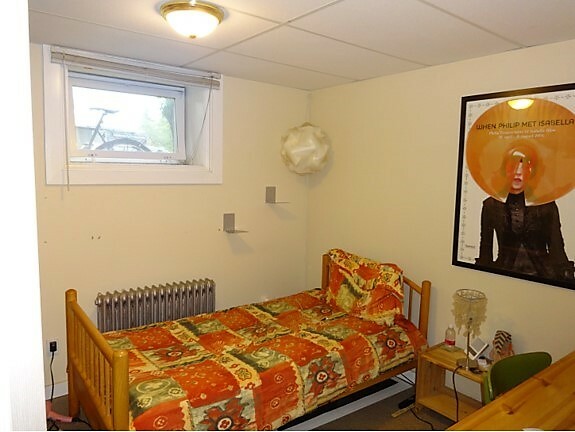 The lower level also has 2 bedrooms, both with large windows, closets and laminate flooring. The home has a hot water boiler and steam radiators throughout the home to provide nice even heat. The landlord pays the utilities including heat, water and electricity: equalized at $272 per month. The home comes equiped with 2 stoves, 2 fridges, a washer and dryer. The lot dimensions are 37.5 feet by 140 feet deep and comes with a storage shed as well as a single detached garage. 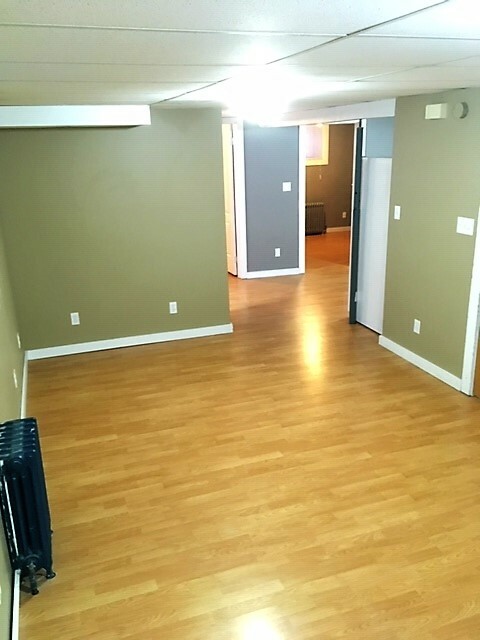 At present the main floor is rented with a lease expiring on April 30th, 2019 and the tenants paying $1250 per month. The lower level is also rented with a lease that comes due November 30th, 2019 where the tenant is paying $850 per month. Both tenants have indicated an interest in staying in the property long term. 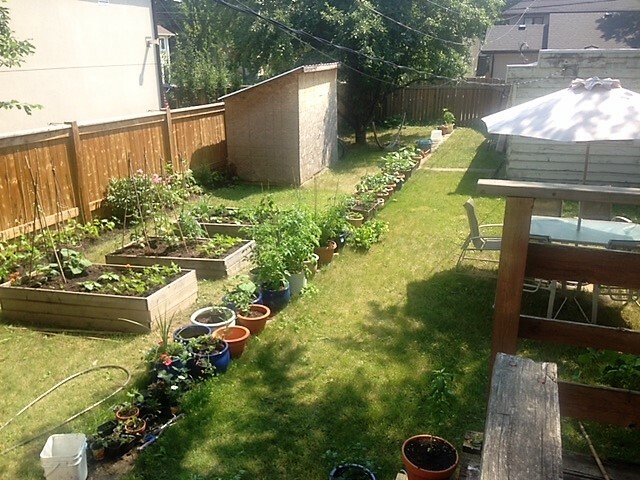 This home is currently listed for sale on the Saskatoon Multiple Listing Service SK757327 with an asking price of $414,000. 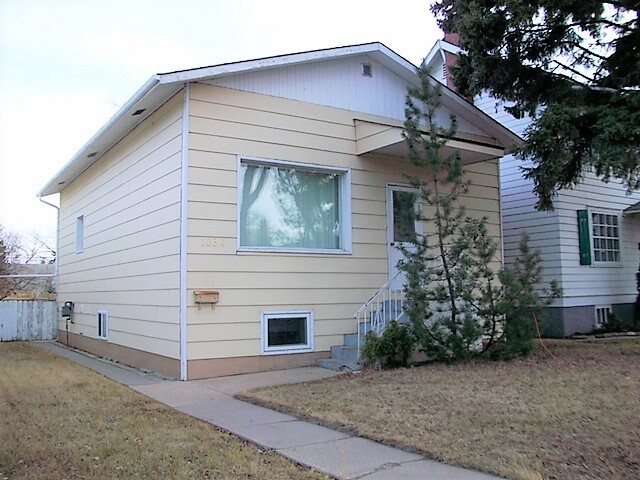 If you have some interest in the property I would invite you to call me at 306-280-0989 and I will happily answer any questions you may have as well as make arrangements for you to view the property.